Welcome to Dog Temperament. This site will help you understand once and for all what makes your dog tick or ticked off. The temperament of your dog has a lot to do with how your dog behaves, and it's critical to successful dog training and stopping dog problems. Dog Owners who know and understand this little fact are several times more effective at training their dogs, and overcoming many of the common dog problems that other owners struggle with on a daily basis. My goal here at Dog Temperament is to help you build a stronger loving relationship with your dog through a deeper appreciation for your dog's temperament. I will show you how knowing your dog's temperament can help you recognize, avoid, or eliminate dog problems such as dog aggression, dog separation anxiety, dog barking, dog biting, dog digging, dog obedience etc.. I'll also give you practical dog training techniques and resources so you can take action and see results immediately. 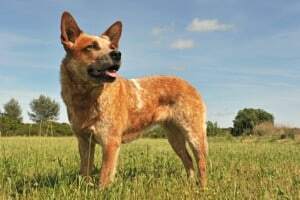 Contrary to what many dog owners believe, it is not possible to accurately determine a dog’s temperament purely by the breed of dog. However, take a Pit Bull and Bichon Frise, what if I ask you which one is more aggressive, how will you answer? Without knowing the individual dogs you will probably guess that the Pit Bull is more aggressive. And that would be a good guess. This goes to show that the breed of the dog can be a helpful indicator of dog temperament in the general sense, so we can’t dismiss it. But to get a true indication, dog temperament mainly depends on the individual dog. It is therefore, important for you to recognize and understand the specific behaviors of your dog regardless of its breed. This way it is possible for you to customize your training based on your dog’s temperament. Always remember that each dog has different temperaments, keep this in mind and life between you and your dog will be more fun and enjoyable. Here are some typical dog temperaments…. These dogs nature is calm and relaxed. If your dog is in this category, you should be patient with it because such dogs tend to respond and move at a much slower pace. It takes such dogs a little more time to learn things. For such a dog to learn faster, it might be necessary to be more firm. 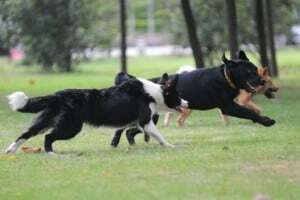 This group of dogs tends to learn much faster and is also highly motivated to impress. If your dog is in this category, you should train it with lively voices. Such dogs follow instructions with simple tugs of the leash. Dogs with an active temperament tend to get excited much faster. They equally get distracted with very slight interference. Such dogs also like playing with their owners instead of following commands during training. To deal with this dog temperament, you should be firm but patient in training. And most importantly make sure dogs with active temperament get lots of exercise. There is also a group of dogs that are strong willed. This group is normally very stubborn and a little more difficult to train. However, in most cases such dogs are intelligent and probably already picked up a few useful things even before you begin any training. Since dogs with such a temperament get bored easily, you need to make sure you stimulate them both mentally and physically. Where training is concerned, be firm when they are distracted or seem disinterested is important. There is also another group of dogs that generally have a shy nature. Such dogs are easily frightened by almost anything and everything. This is mostly common in some small dogs and also those dogs that might have had a traumatic experience when they were puppies. If your dog has such a personality, you should never use leash corrections. It is also advisable that you keep your voice soft when training or handling shy dogs, last thing you want to do is scare or offend them. For obvious reasons dogs with aggressive temperament are not the best choice for families with children. In fact they are probably just not a good pet to have period. Family aside, you have to always be on the lookout with the neighbors, when company visits, and when you go on walks. That can be stressful, to say the least. 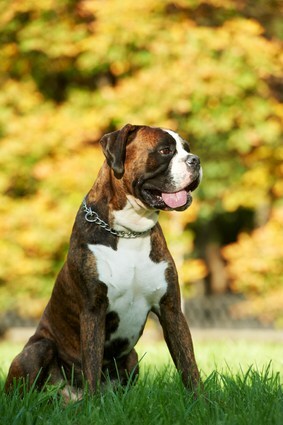 Aggressive dogs are most difficult to train, and require a dominant strong leader. If you own such a dog, don't despair, there are things you can do to help reduce or eliminate its aggression. Remember an aggressive dog temperament is not one you should ignore. Learning how to evaluate the temperament of your dog is important though not always easy. However, the following tips should be of much help to you. 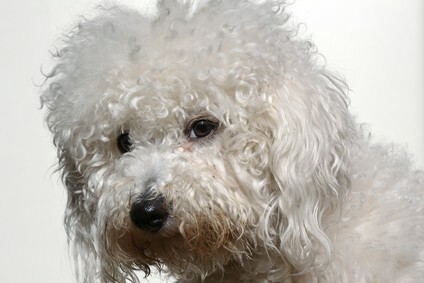 The first tip is to look for a good reputable breeder to help you determine your dog’s temperament. Pay close attention to how the pet reacts when you first meet and under several other environments. Some general traits will always stand out regardless of the environment and dog’s breed. 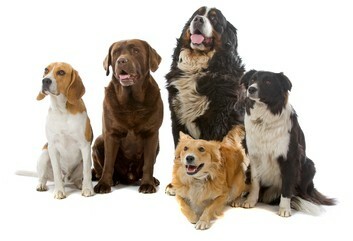 To evaluate the dog’s temperament, you should ask yourself how well it reacts when other dogs are present. For example does he jump up on them or he simply sits back and observes. You should also ask yourself whether you relate well with the dog. For a more details see the article 5 Tips For Conducting A Dog Temperament Test Before You Adopt From Shelter. When training your dog, always remember that it has a unique temperament. The above information is meant to help you determine the temperament of your specific dog. This will help you train the dog according to its individual behavior. Also you should remember that your dog can also have multiple dog temperaments. Always identify its personality rather than make assumptions. This will help you focus your training. So there you have it. As a dog owner, it is important that you understand your dog's nature and temperament. This will help you understand why your pet seems prone to some behaves at times. Your dog’s temperament matters a lot, regardless of how cute or healthy your dog looks, so never ignore it.